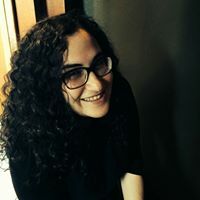 Today we have the pleasure of featuring Emily Feinberg, Associate Editor at Roaring Brook Press. She is the featured speaker for a September 19 webinar co-hosted by Kidlit411 and Inked Voices, Picture Books in Focus: Structuring your Picture Books and Nonfiction, at 8:30 p.m. EDT. Be sure to enter to win a seat for this webinar! I usually like to set aside some uninterrupted time each week to read submissions. I say "usually" because it rarely happens and more often than not, I find myself reading them on my phone while waiting for the Q train. I try to approach each submission with an open mind but can usually tell pretty quickly if something is not right for my list based on voice. Overall, I'm looking for narrative nonfiction with a strong voice. I also kind of want a middle grade novel set in the middle ages, like CATHERINE, CALLED BIRDY (by Karen Cushman). I don't typically edit anything with fantasy elements. What is your typical work day like? What would surprise writers about your job? I love my job because each day is different with its own set of problems and successes. I spend a lot of time answering emails, typically edit at home on the weekends (it's hard to concentrate in an office setting), writing flap and sales copy. Writers might be surprised at how much rejection editors face on a daily basis. It's not just writers- we're constantly pitching to big rooms of people, getting our copy sent back to us with red marks all over it. It's our job to fight for the authors and the books and sometimes you get told no. What’s the best part about your job? What's the most challenging part about your job? The best part for me is working with authors/artists to make a book as good as it can be. I love the collaborative nature of it- in that sense it's a really creative job and I now realize that I always need a bit of creativity in my day-to-day. The most challenging is probably managing expectations. I like to make people happy but sometimes you have to deliver some not so great news. That always gives me a bit of anxiety, even if it's something beyond my control. What advice do you have for aspiring children's book writers and illustrators? Keep working. Take rejections in stride. Always try to refine your craft. We know that Roaring Brook is closed to unsolicited submissions but what are the biggest DON’Ts that authors should remember when submitting from a conference? What are the biggest DOs? DON'TS: Don't over-explain yourself in cover letters. Don't submit ill-formatted or un-spellchecked manuscripts. Don't be too pushy about getting a response right away. DO: Do your research and make sure you're submitting the right type of manuscript to the right editor. Make sure they know the market and are up to date on books that are out there. In this talk (Picture Books in Focus: Structuring your Picture Book and Nonfiction), we will look exclusively at the ways in which picture books (fiction and nonfiction) benefit from a narrower scope and a focused structure. We will go through examples of finished books and works in progress so participants will be able to see some before and after editorial work. Inked Voices is a platform for online writing groups. We are a place for existing critique groups to collaborate in private online workspaces, and a place for writers to find spots in open critique groups or get personal help finding a group or partner. We also run craft lectures like this one, First Pages events with agents, and a select number of small workshops. Learn more at www.inkedvoices.com. Follow us @InkedVoices. Kidlit411 (www.kidlit411.com) is a one-stop information resource for children's writers and illustrators. 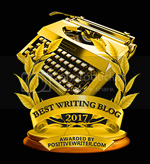 Our website includes a wide range of articles and resources, arranged topically, weekly interviews with authors and illustrators, and a weekly email newsletter with updated links. Kidlit411 also hosts an active community in our Facebook group and helps connect writers and illustrators seeking critique partners. Thank you for the insights, Emily. The webinar sounds great! Love these specifics! Webinar sounds great! Great tips! The webinar sounds fantastic! Nice to hear an editor's perspective! The webinar sounds really helpful. Interesting that pitches are read on a cell phone. That means we don't need to overstress on our formatting, probably. Thanks for the tips! Looking forward to this webinar. Love hearing the details of how you work. The webinar sounds great too. Wonderful information for those of us getting ready to start submitting. Would love a spot in the webinar! Perfect to know. I believe that there are lot of more things that should be considered to make things awesome for us. Great interview. Thanks Emily & KIDLIT! I'll be there at this webinar, but I would love to be there for free. TY KidLit411 and Emily for this opportunity. Love interviews like this! So helpful to see the other side. Thanks!! Great interview. The webinar sounds fantastic! Thanks for sharing, Emily. The insights are always valuable! Great interview! I am so lucky to be able to work with Emily! She's brilliant and down-to-earth! You don't want to miss this one!! I'd love to attend this webinar. I'm sure the WIPS vs the finished books will be an eye opener. Thank you for a glimpse at your day and process. It sounds like an amazing webinar. It's sobering to hear that you have to edit at home and read submissions outside of work. That really puts into perspective how little time we as writers have to grab an editor's attention in a manuscript. Great interview! Thanks. It's nice to know we aren't the only ones facing rejection! Thanks for letting us know about the class! Interesting interview! 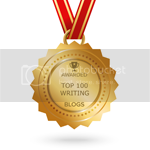 I was surprised to hear that most of the actual editing and submission reading happens on an editors own time. Busy busy job! Thanks for the insight. When do you sleep?! The webinar sounds fabulous. I'm sure Emily's PB Webinar will be helpful. I appreciated her webinars through Kidlit College. I'm really looking forward to this. Editors are hardworking people! Interesting interview. I'm sure Emily's webinar will be very informative. Thanks for the peek into your world as an editor, Emily. Emily critiqued a manuscript of mine several years ago. She knows her stuff. This webinar will be invaluable to me as I'm studying picture books now to learn more about how to write successful ones. And to learn from Emily would be fantastic. This webinar sounds so informative! Thanks so much for the great interview, and for this opportunity! What a fabulous interview and opportunity! Thank you! I am always looking for specific direction for making the work better and love reading interviews with editors so I can improve and target my submissions. Thank you! Very helpful interview. Thank You!